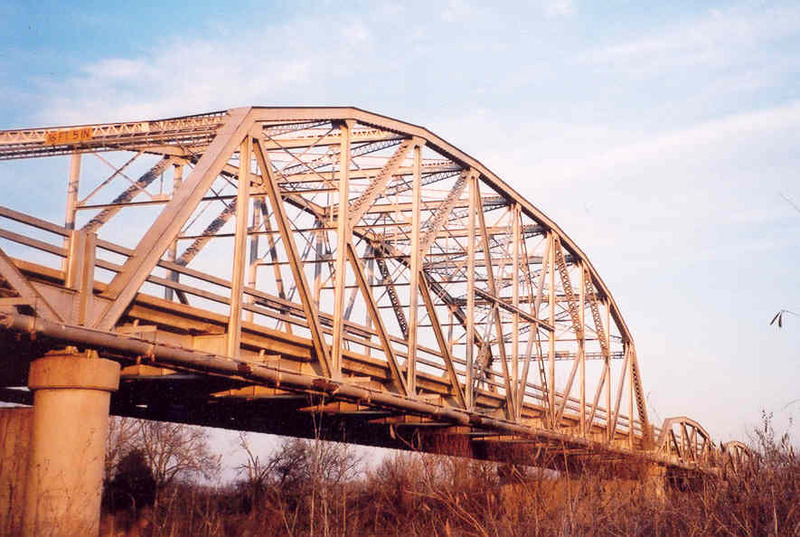 Built in 1959, this bridge carrying US 77 across the Washita River consists of one 210-foot long K-Parker span and four 100' Parker Pony spans. 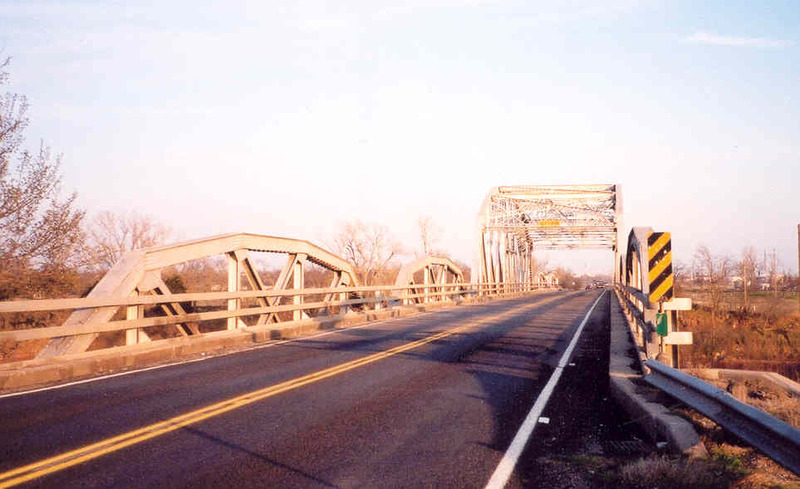 The bridge is located just west of Wynnewood. In the above photo, you can see Wynnewood in the background. 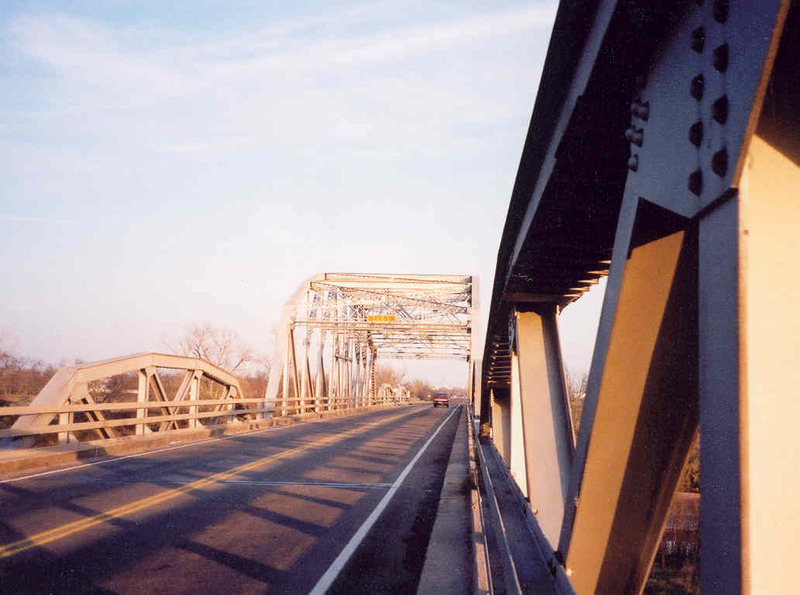 Above, a side view of the five truss spans. 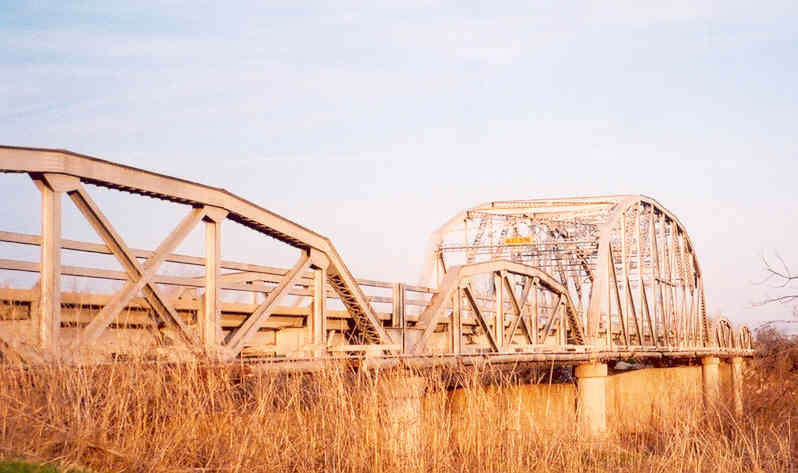 Below, a close-up of the K-truss main span. The portals have been replaced in this bridge, probably due to clearance issues. Below, a deck view of the bridge. The deck is about 26 feet in width.